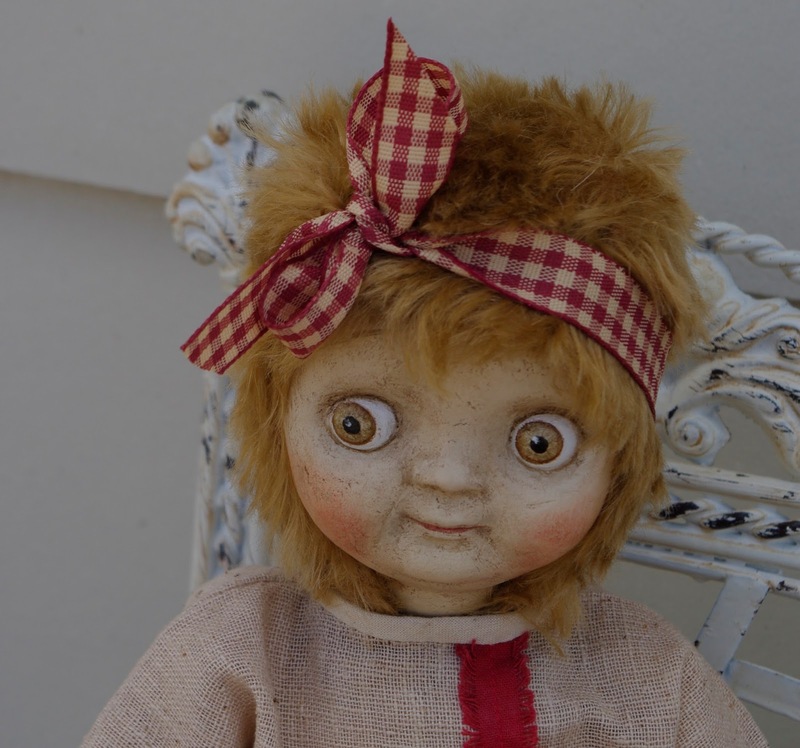 I have been working on putting together some new doll kits for making an antique style Googly Doll. 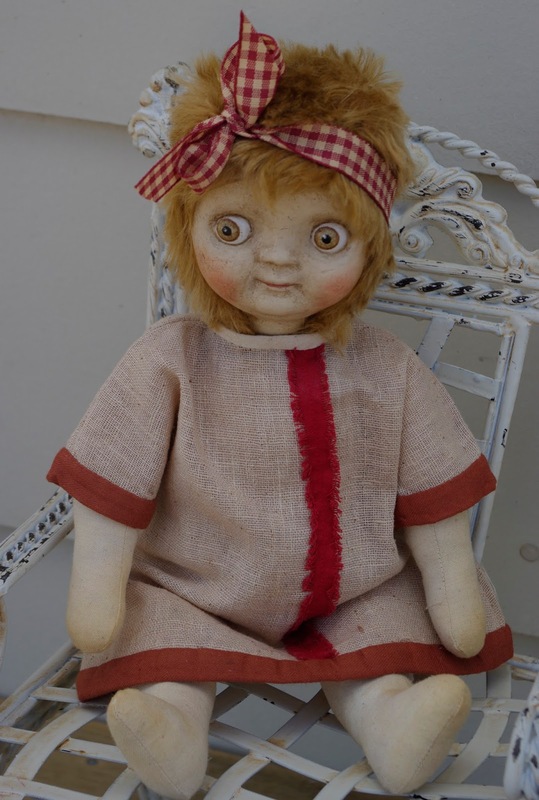 THIS KIT COMPRISES OF A BODY & CLOTHING PATTERN PLUS INSTRUCTIONS FOR CREATING AN ANTIQUE STYLE 14 1/2" GOOGLY DOLL. YOU WILL NEED TO DOWNLOAD THE PATTERN AND INSTRUCTIONS AND PRINT ON A4 SIZE PAPER. I am happy to offer our latest kit for sale, consisting of an unpainted composition face and PDF files for the pattern for the cloth jointed body, mohair fabric wig, dress and bloomers and 26 pages of instructions and pictures. 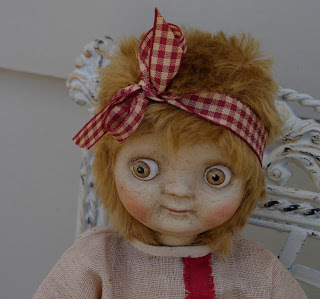 She is based on the early Einco googlies, with those big eyes and mohair wig. The 4th picture shows the face unpainted and partly painted. Note that the eyes are part of the mold. 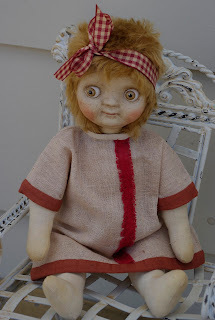 This particular Googly doll will have the appearance of an aged doll and I give painting and aging instructions to replicate this look. You can see the final paint finish in the 3rd picture. It looks just like old paint. We have made the Googly faces from composition which involves quite a few processes to achieve the look we were looking for. 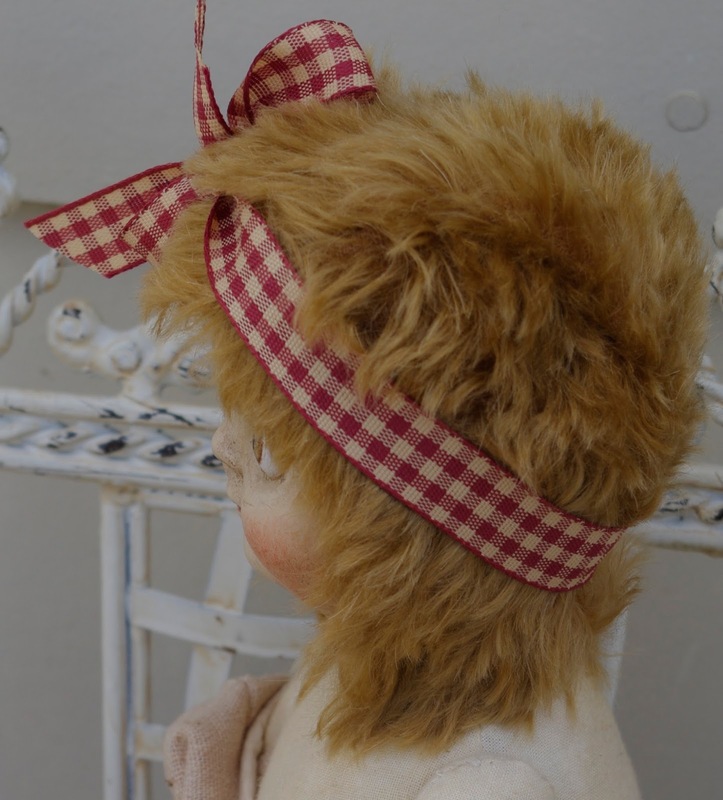 You will need to paint the face and attach to the cloth doll with a few stitches through the holes at the side edges. Very easy to do. Upon purchase in my Etsy shop you can download the comprehensive pattern, instructions and pictures for you to print and I will then post the head to you FREE POSTAGE worldwide. You can contact me via the email link on the right hand side of this page if you have any questions or would like to purchase directly from me. If you prefer you may purchase the kit from my online Etsy shop.